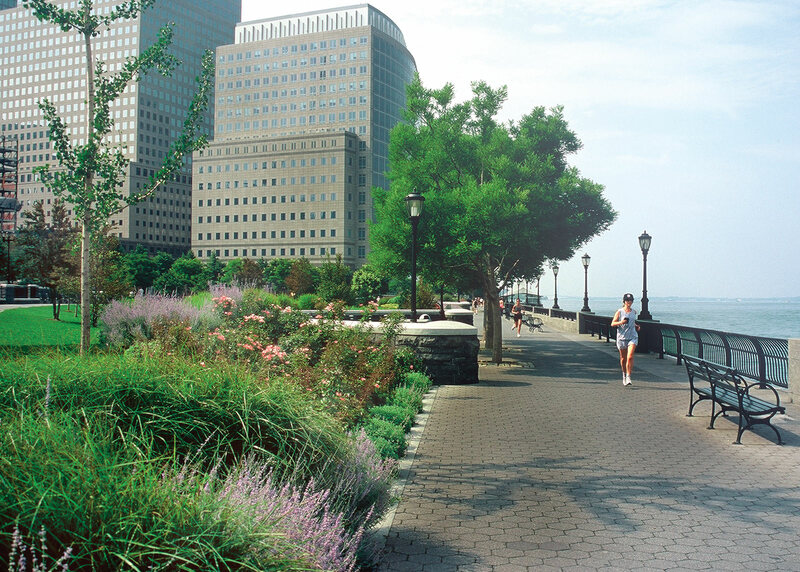 Nelson A. Rockefeller Park, built on landfill adjacent to the Hudson River, is the largest public open space in Battery Park City. 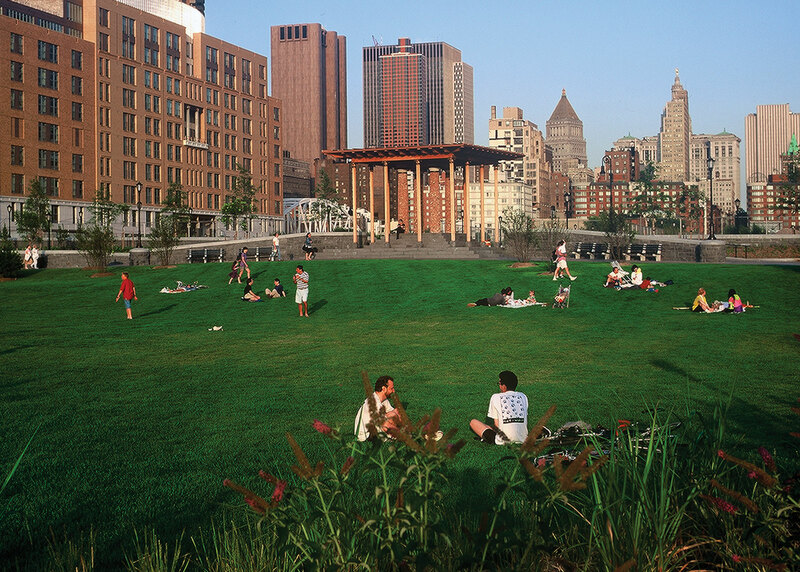 The park’s framework of stone walls and cobble pavements are reminiscent of Central Park and the fully accessible grounds accommodate a variety of active and passive recreational uses. An upper level terrace features sitting areas, ball courts, plantings and a large lily pond. 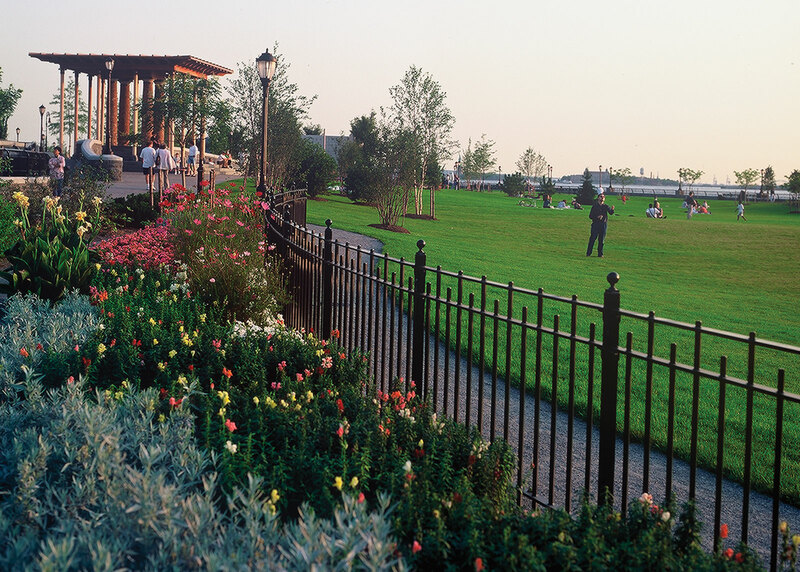 A lower level terrace has playing fields, meadow plantings, paths and jogging trails that overlook the river. 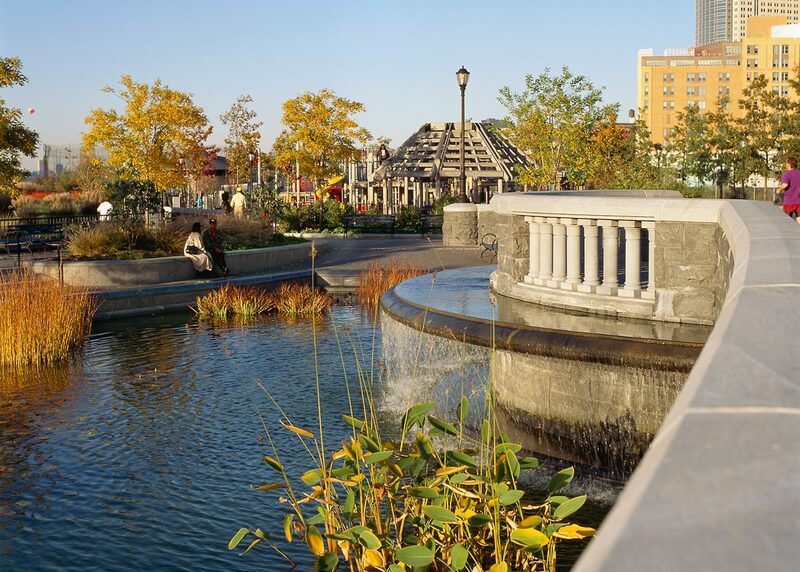 The low-maintenance plant palette provides year-round interest and respects both the native Hudson River Valley landscape and the Long Island shoreline beach environment.